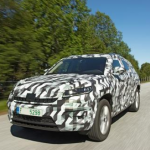 Skoda has released more details of its forthcoming Kodiaq large SUV, which features the brand’s new design language plus the latest infotainment, connectivity, and assistance system technology. 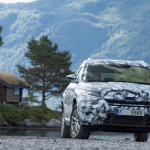 Following its previous design sketches, the brand has now published images of a camouflaged prototype, with the production model to go on sale at the beginning of 2017. 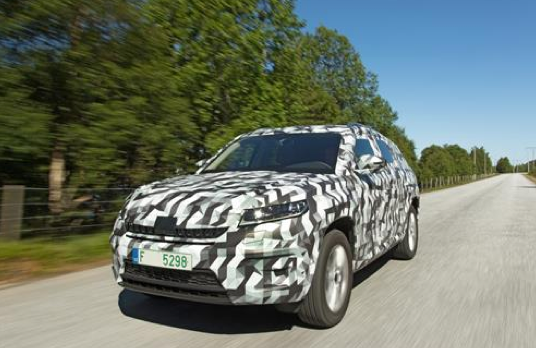 As previously announced, the 4.7m-long Kodiaq will bring availability of up to seven seats plus the largest boot capacity within class according to the brand, with a capacity of up to 2,065 litres for the five-seater and adjustable rear seats as standard, with backrests that can be tilted as required. 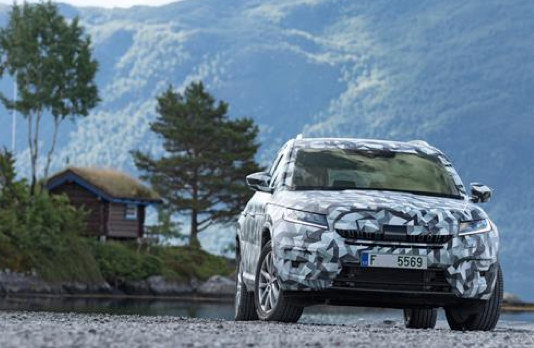 Skoda added that the Kodiaq will bring a variety of new technology and future-orientated features in terms of connectivity, including mobile online services. 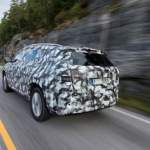 It will also debut new concepts, including door-edge protection that deploys automatically to avoid damaging the vehicle in garages or car parks, plus an electric child safety lock for the youngest passengers, as well as a sleep comfort package with special headrests for long trips. Infotainment systems come from Volkswagen Group’s second-generation Modular Infotainment Matrix, and are all equipped with capacitive touchscreens. The top-of-the-range Columbus and Amundsen systems come with a WiFi hotspot. As an optional extra, there is an LTE module for the Columbus system. In addition, a Care Connect services provide breakdown and emergency assistance. An eCall emergency button, which will be required for all new cars in Europe from 2018, is already now part of the Care Connect service. Other online services run via the Skoda Connect app and can be used to check, configure and find a car from afar via a smartphone. The SmartLink platform, with Apple CarPlay, Android Auto, MirrorLink and SmartGate, is optional for the entry-level Swing infotainment system but a standard feature for the more advanced infotainment systems. A Phonebox with inductive charging connects the smartphone to the roof aerial and charges it wirelessly. Driver assistance systems see the brand’s debut of its Area View cameras, which display the car’s immediate surroundings on the monitor. 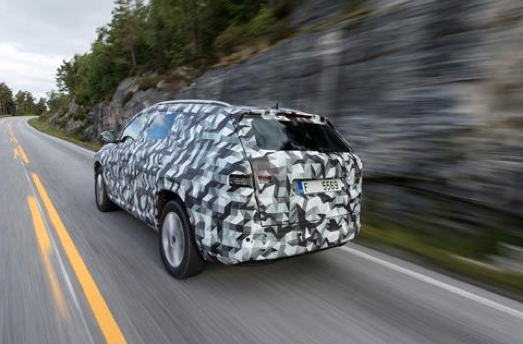 When a trailer is attached to the large SUV, the Tow Assist system takes over manoeuvring when reversing slowly. 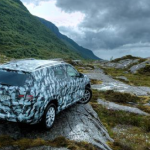 A new predictive pedestrian protection function compliments Front Assist while the model also debuts a new Parking Distance Control system with braking function, which ensures the Kodiaq brakes automatically as soon as it detects an obstacle. A range of transmission options are available – six-speed manual gearbox, DSG transmission, front-wheel drive and all-wheel drive. 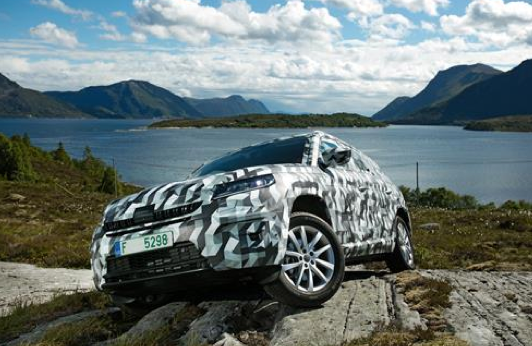 The Kodiaq also offers Driving Mode Select and Dynamic Chassis Control (DCC) to configure operation of the steering, accelerator, DSG transmission and suspension. 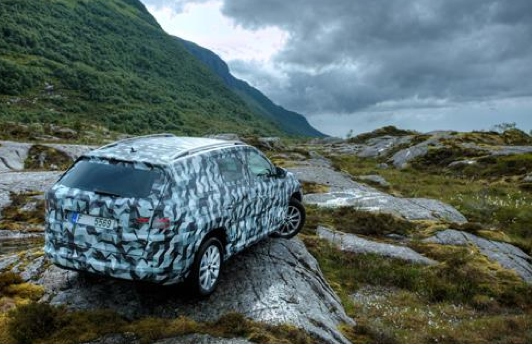 An off-road mode supports the driver when using four-wheel drive. 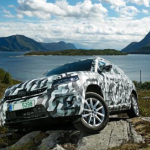 At the touch of a button, all the relevant systems – engine management, assistance systems, electronic chassis systems, such as ABS and ESC, as well as the suspension if combined with the optional DCC – automatically adjust to off-road conditions.